The Knucklehead was a Harley Davidson motorcycle engine, so named because of the distinct shape of the rocker boxes. 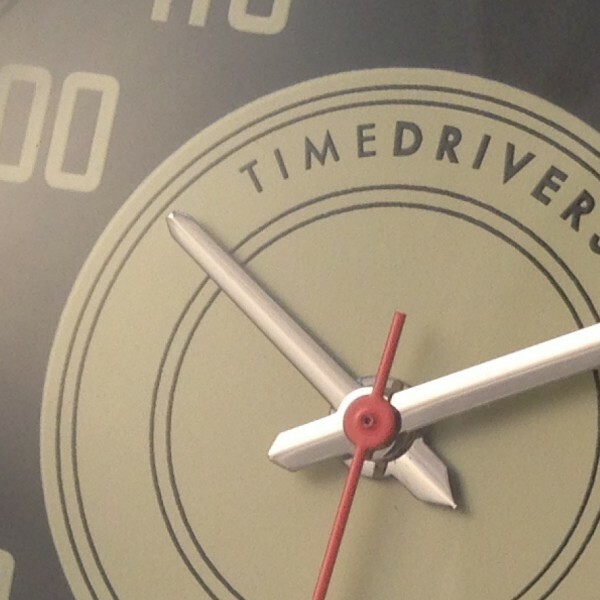 Timedrivers interpretation as a watch is faithful to the original details of the speedometer that came on the 1941 to 1946 models. 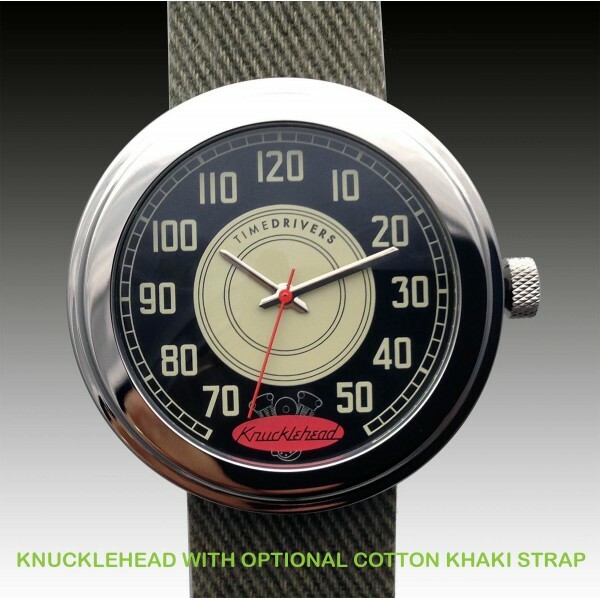 From it’s period correct raised and rounded polished bezel surrounding a curved mineral glass crystal, protecting the flat black dial with cream white numbers and hours/minutes hands, the Knucklehead by Timedrivers is a distinctive timepiece, The precision quartz movement is housed in a machined stainless steel case that is shockproof and waterproof to 100 feet. 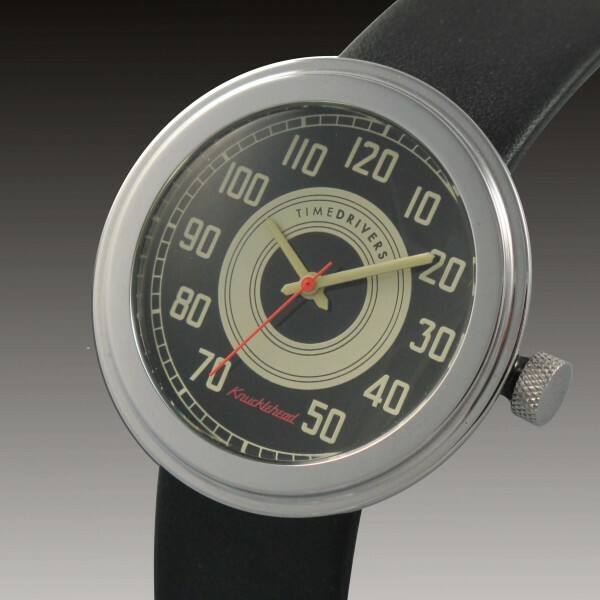 Completing the look is a dark brown leather strap and polished stainless steel buckle.